The rain is back—time to embrace your cozy side! We've rounded up the best tea-centric spots to curl up, relax, and enjoy a cup on a cold day. The space: Japanese culture is closely tied to the seasons and nature, and Behind the Museum emphasizes this deeply rooted connection in both the menu and the space. Situated next to a giant elm tree, the view from inside the café’s lofty windows is not unlike a scene from a Japanese woodblock print. Warmly lit and filled with wooden tables and chairs, the tranquil space is inviting and peaceful with an air of creativity and community. As you sip your sencha, admire the arts, kimono and antiques along the wall, many by local artists and all exhibiting Japanese styles. The tea: Choose from sencha, hojicha, genmaicha, mugicha, black, rooibos, or mint teas from Sugimoto America, a national distributor of fine Japanese teas. 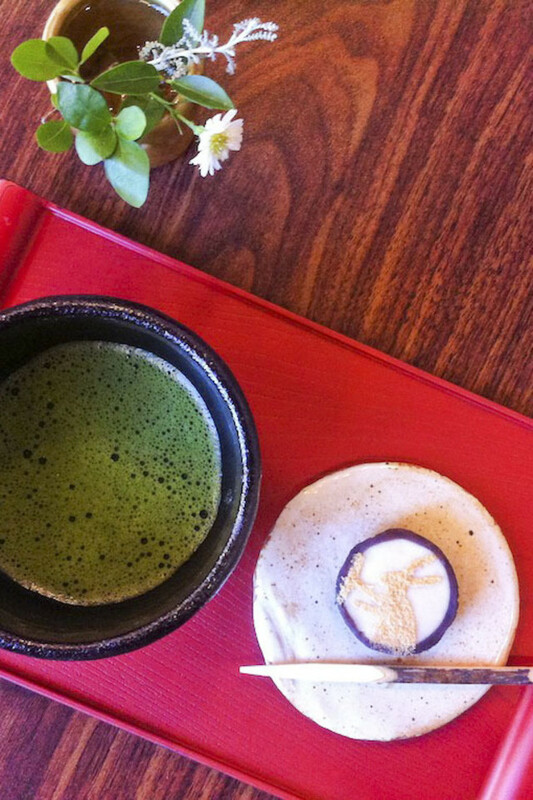 We recommend the matcha green tea—an order that prompts Horibuchi to demonstrate the Japanese tea ceremony, after which the tea is served along with the month’s special omanju, a sweet made from bean paste. The omanju changes every month to reflect the season. September featured a moon of white and red bean paste with a rabbit silhouette on top, reflecting a Japanese folktale of a rabbit living in the moon, pounding ingredients for mochi rice cakes. October’s creation is (what else?) a pumpkin. 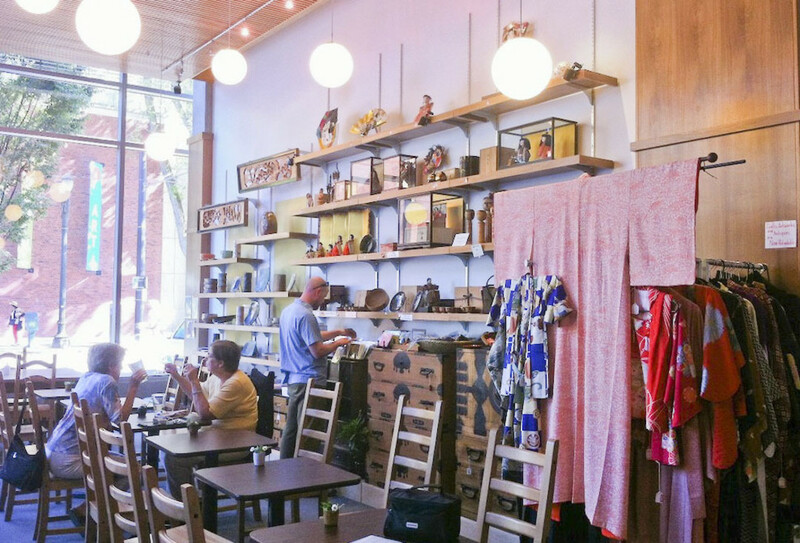 Tea Chai Té began as a college project and has since evolved, 11 years later, into a second home for many a local tea-lover. “Young and naïve,” as owner Dominic Valdes describes, he jumped into the tea industry. He was never much of a coffee drinker and, upon discovering that he enjoyed blending tea, grew his class model into a business—one serving fine, hand-picked tea in a warm ad welcoming environment with music and excellent customer service. Health-conscious and devoted to sustainability and wellbeing, the teahouse creates community connectedness with active bulletin boards facilitating yoga practice, art, and healing. 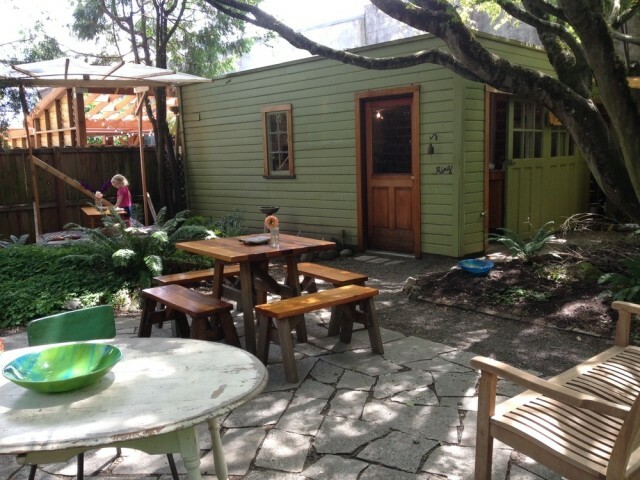 The space: Climb the narrow flight of stairs off of NW 23rd to enter the Nob Hill location’s chill, charming tea rooms. Admire and smell the tea jars on display and then get comfortable on couches and armchairs. Weather permitting, you can sit on the outdoor patio overlooking the busy shopping district’s shops. The Sellwood location is housed in a historic red caboose! 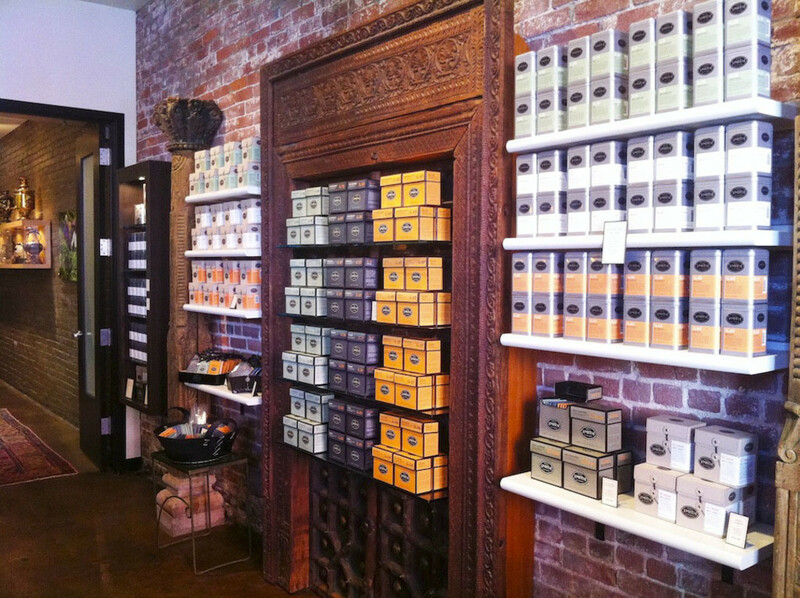 The tea: Over 120 top-quality teas grace the teahouse’s shelves in elfin glass jars. Spend some quality time with the menu or dive right in to seasonal and specialty blends (made from scratch) like crème brûlée lattés or chocolaty Rainforest Chai. The first in PDX to serve the sweet treats jeweled with tapioca pearls, Tea Chai Té takes pride in bubble teas, too. All teas are available hot or iced, and customers can purchase favorites as loose leaf to enjoy at home. Having trouble deciding which tea to try? Ask a knowledgeable tea tender for recommendations. What began as an art project "questioning our waking dreamstates", Fly Awake Tea Garden grew into a mobile tea shop and outdoor space for collectively appreciating beauty and connectedness between humans and nature. The garden and mobile tea café hosts tarot readings and special events throughout each month, like astrological herbalism readings and music from avant harpists. As owners Kevin and Arati von Behren believe, a happy, strong community is key to finding harmony in life. Even on the dreariest of days, daydreaming over a cup of warm tea and tarot will brighten your outlook. The space: A lush, shady garden abode surrounded by flora and fauna (birds, bees and spiders are friends here). Order tea from the tea cart and then take a seat at one of the benches or stone seats surrounding a cozy fire pit—don't worry, there's a converted garage for shelter when it's less than dry! The tea: Choose chai, organic, and herbal house blends or seasonal teas including greens, whites, oolongs and blacks. Titles of the menu’s teas give some insight into the benefits, too. For instance, creatives will enjoy the Artist’s Dream Tea, said to refresh dream energies and bust down mental blocks. If you find yourself suffering a winter cold, try Trifecta, a warming blend of red root, rose hips and fennel. Townshend's Tea Company began as a University of Oregon college project in 2002. The mission then—and now—is to serve top-grade tea in a casual, relaxed atmosphere, complete with comfy armchairs, coffee tables and sofas. No high-turnover rate of customers here—the space encourages us to sit back, relax, and share in deep conversation over a freshly brewed pot of tea, made from fresh ingredients sourced from across the globe. Townshend’s is meant to serve as a gathering place, accessible to all—and all tastes. The teahouse frequently experiments with new possibilities, so be on the lookout for some surprises and new directions this winter, from Candy Cap mushroom lattés blended with Yunnan Hong Cha black tea or something a little more spirited. 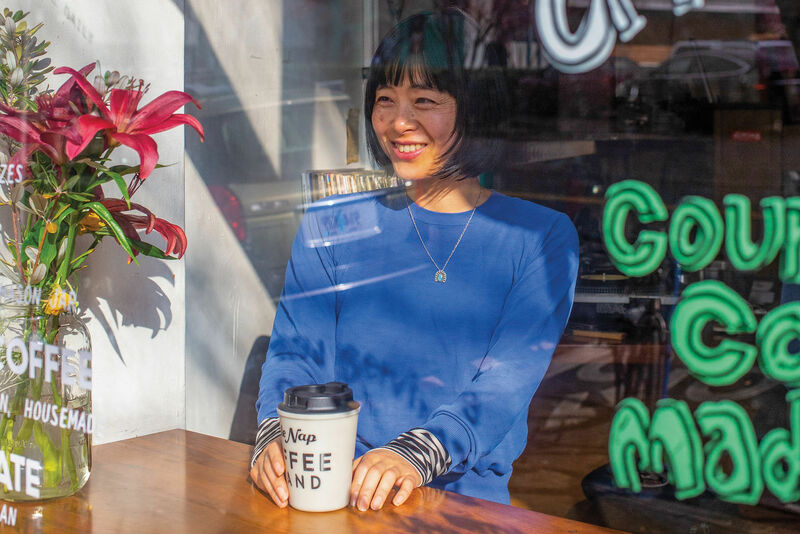 The space: Rather than import another culture’s tea traditions or environment, Townshend’s aims to match Portland’s own artsy, laid-back culture—one also steeped in tea. With cushiony sofas, armchairs, and inviting interior design, tea-lovers are encouraged to curl up for reading, studying and conversing over tea and a healthy baked goods. Exposed wooden beams, glowing orbs as light, and deep chocolate walls make for a perfect departure. 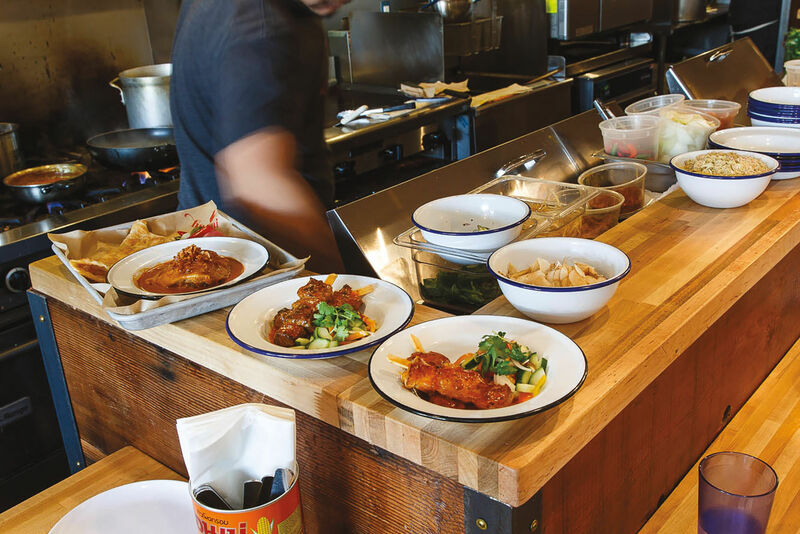 Townshend’s wants to fit in with what is current, and as manager Jake Gano tells it, Division Street’s teahouse fits its neighborhood. Artwork by local talents stretches across the walls, leading the eyes to the tea counter, where shelves of loose leaf await. The tea: Over 100 to sniff and choose from. The cubby wall of numbered tea tins may be daunting, but tea tenders are happy to offer suggestions (and they know the teas by number). 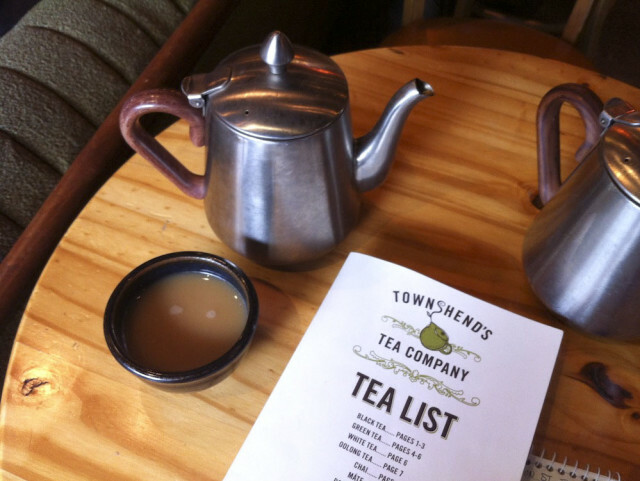 Division manager Gano recommends one (or three) of Townshend’s 11 chai teas. Chai here takes 6 minutes; loose leaf tea and spices are steeped directly in milk, and then sweetener is added by hand. Alberta St. Chai, named after the flagship teahouse, is a blend of worldly teas and spices and has a “campfire vibe” with distinctly smoky, caramel-like flavor. A festive Pumpkin Spice Chai uses no pumpkin but is undoubtedly pumpkin pie in drinkable form. The Roasted Coconut Máte is one of the most popular; made using rice milk, this latte is creamy and just sweet enough. For those still holding onto summer's call for cold drinks, Brew Dr. Kombucha is a probiotic-packed refresher available on tap. 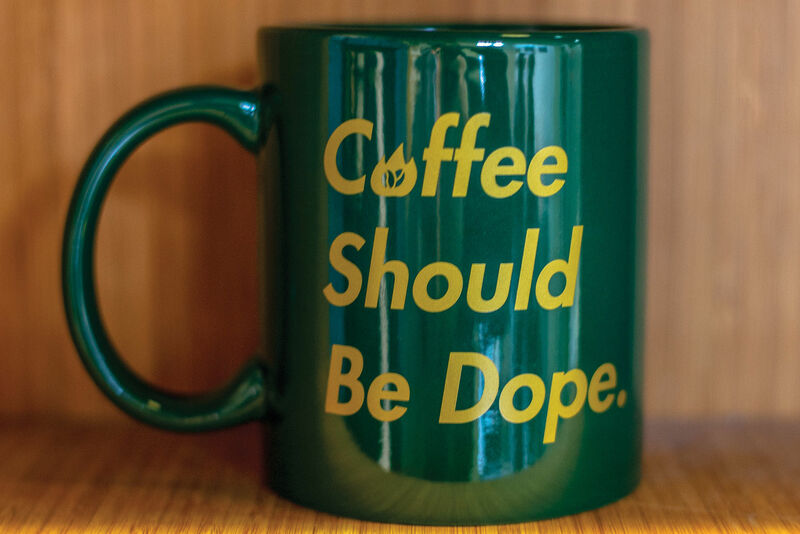 Location: 3531 SE Division Street and 2223 NE Alberta St; Loose leaf black, green, white, oolong, rooibos, máte, and chai teas are also for wholesale at cafés and restaurants around town. Red Robe Tea House & Café sits on a corner block in Chinatown, diagonally across from the Lan Su Chinese Gardens. Legend tells of a Chinese emperor whose mother was healed by tea covered with large red robes, or “Da Hong Pao,” referenced in the café’s name. Visit Red Robe for a warming meal of Chinese specialties and uniquely named teas. The space: Low-key lighting, a counter of beautiful teapots and ceramics, and Chinese instrumental music all add to the ambience, allowing a calming break from the city’s bustle. Scrolls of Tang Dynasty poetry and calligraphy decorate the red, black, and brick walls, and an educational mural lets customers read up on oolong’s history. The tea: An extensive list of oolong, pu’erh, black, green and herbal teas sourced from South China. You can choose a Gongfu ceremonial tea set, a teapot, or a freshly brewed cup. We recommend enjoying a mooncake—a dense, round, thin-crusted, red bean paste-filled pastry—with a smooth, earthen Chinese tea like the Wuyi Mountain Da Hong Pao. Kiva teahouse, café, and spa truly embodies its name’s meaning—a sacred place of gathering where communities share in ceremony and ritual. In addition to enjoying top-quality tea from The Art of Tea, visitors can relax at the foot sanctuary or receive a restorative massage, facial, or body treatment. Come for the tea and pampering and stay for lunch—the menu is massive and packed with nutritious superfoods with plenty of gluten-free and vegan options. The space: A refreshingly open yet intimate space filled with red accents and a whole lot of treats including Woodblock chocolates, kombucha brands, and fresh baked goods. Along one wall is the tea bar, chock full of The Art of Tea teas. On the other wall is an aisle of teapots, teas, and aromatherapy. A Buddha sits at the back, pointing the way to the attached spa and overlooking the seating area, which, in sunnier seasons, spills outdoors onto NW’s tree-lined sidewalks. The tea: Organic, fair trade, and bio-dynamic teas in white, green, oolong, pu-erh, and herbals. All teas are custom crafted by The Art of Tea using 5000-year-old traditions. Seeking allergy relief? 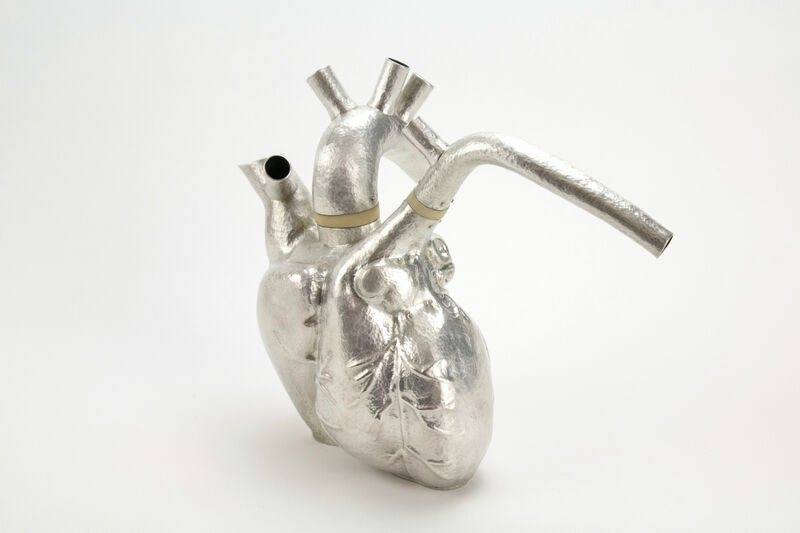 Feeling stressed or hoping to soothe that sore throat? Ayurvedic and medicinal tea blends will rejuvenate both body and soul. The team behind the tea bar is friendly and will gladly give suggestions. Try a creamy, indulgent coconut matcha latte, served in a warming glass mason jar with a handle. Lan Su Chinese Garden Tea House, one of the city’s cultural gems, resulted from a collaborated between Portland and its sister city Suzhou in China, home to the Ming Dynasty gardens. Lan Su is an authentic Chinese botanical garden based on 2,000-year-old traditions of melding art, architecture, and nature. Plant species represented are Chinese natives and communicate customs long-rooted in environment. Visit the garden for a lesson in horticulture, a garden tour, and a glimpse into Chinese tea culture, art, and history. The space: Walk through the Courtyard of Tranquility into the Hall of Brocade Clouds to gaze through intricately latticed doors and windows onto glassy waters and landings connected by floating bridges. The tea pavilion is set up to mimic a 16th century Chinese estate, with rooms for tea-drinking, calligraphy and music. The tea: The Tao of Tea runs the garden's teahouse and offers traditional Chinese teas to complement seasonal transformations of the garden. A Portland-based company, The Tao of Tea is nationally recognized for its organic, fair trade teas sourced based on regional flavor profiles from China. Smith Teamaker, the “most uncommon name in tea since 1949,” is all about the origin and blending of delicious, unique teas. Founder Steven Smith started both Stash Tea and Tazo before moving onto this third local tea venture which blends, ships, and artfully packages top-quality teas. In northwest Portland, the company also runs a tasting room, where you can enjoy a tea flight or fresh teas straight off the manufacturing line. 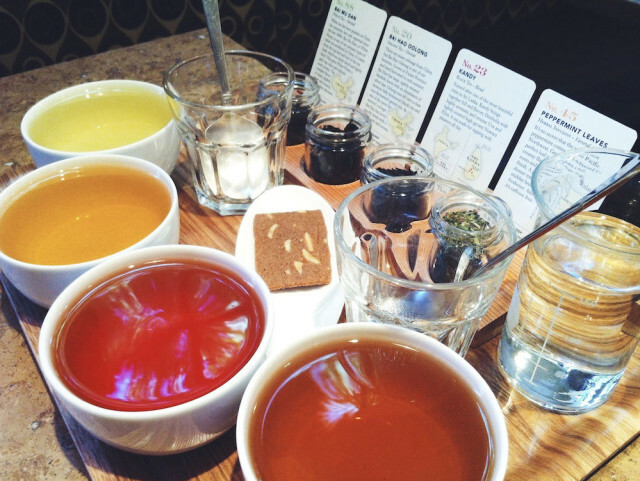 The tea: At the tasting room, share a tea flight for two. We highly recommend the Bai Mu Dan, a very light, slightly sweet and nutty White Peony tea, and the Bai Hao Oolong, a warming, golden elixir perfect for fall, and as one tea tender describes, the “Cosby sweater” of teas. A refreshing herbal infusion to finish up your tea flight might be Peppermint Leaves, which uses peppermint from the Pacific Northwest and has distinct chocolate notes. For a completely indulgent drink, try the Darjeeling crème caramel, made with burnt caramel sauce and topped with Jacobsen sea salt. Location: Tasting room located at 1626 NW Thurman Street, but teas are also available at the online shop or at numerous retail locations. 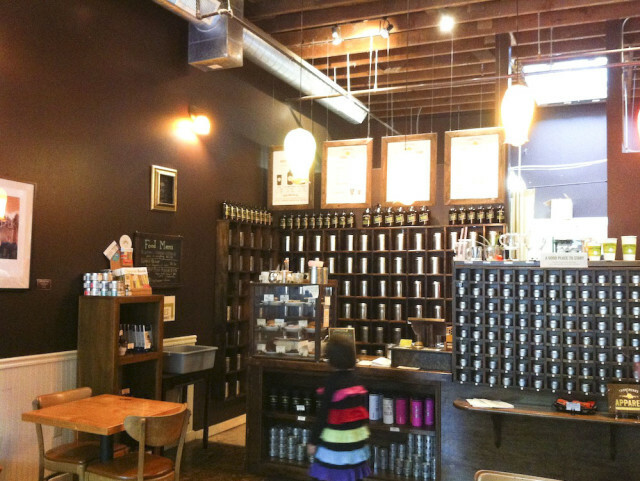 Oregon Tea Crafters, though not a teahouse, sells hand-picked, small batch tea grown right in the Willamette Valley. A half-acre plot of camellia sinensis tea was planted from in the late 1980’s and thrives today, growing in size and flavor with each season. Teas are available as loose leaf, but Oregon Tea Crafters also sells gorgeous tea trees at the Portland Farmers Market. Cultivate your inner farmer and plant one of these for continual tea excellence, straight from your own garden. The tea: Extremely fresh with sweet honey and floral notes. Try green, oolong, and black teas and make sure to chat with Elizabeth Miller of Minto Island Growers next season at the farmers market for tips on brewing your own tea. Where do you love to go for tea around town? Share your favorite spots in the comments!